MONTGOMERY, Ala., August 1, 2018 – EatMGM, Montgomery’s annual restaurant week, returns for a fourth year with 10 days of deals, online contests and foodie meet-ups. Organized by the Montgomery Area Chamber of Commerce Convention & Visitor Bureau (MCVB), EatMGM runs August 10–19, 2018. Dining specials and events are listed on the EatMGM website (www.eatmgm.com) and are being promoted on the EatMGM Facebook and Instagram accounts. Local restaurants are offering signature dishes at set prices ranging from $10, $25 or $35 during this exclusive promotional week. In addition to the specials, several “foodie meet-ups” will offer opportunities for diners to gather socially and enjoy local restaurants and bars. “Montgomery’s dining scene has attracted the attention of The New York Times and Food & Wine Magazine among many others in recent months, and restaurant week gives us all an opportunity to discover the treasures that the national media has uncovered in Montgomery,” said MCVB Vice President Dawn Hathcock. EatMGM is a 10-day celebration and exploration of the bites, treats and meals that make Montgomery one of the best places in the South to eat. Organizers aim to deepen and strengthen the food community in Montgomery between restaurants, diners, visitors and the media. They seek to raise awareness locally and beyond for the variety and quality of restaurants and food experiences in Montgomery and increase business for local restaurants during the late summer, which can be a slower time for restaurants. For more information on EatMGM visit www.eatmgm.com or email eatmgm@gmail.com. Follow EatMGM on Facebook at www.facebook.com/eatgump and on Instagram at @eatmgm. For more information on dining in Montgomery, Alabama go to www.visitingmontgomery.com. Situated on the banks of the Alabama River, Montgomery is the capital and the second largest city in the state of Alabama. Established in 1819, Montgomery has been the site of major historic events which have shaped the history of the United States. Emerging from its agricultural roots in the 19th century, Montgomery transformed from the Cradle of the Confederacy to the birth place of the Civil Rights Movement in less than a century. Today, this vibrant river town is experiencing a resurgence which has seen its downtown revitalized and has reestablished itself as a landmark Deep South destination. Montgomery Regional Airport (MGM) offers non-stop flights on Delta Airlines and American Airlines. For more information, call 334-261-1100 or visit the official website of the Montgomery Convention and Visitor Bureau at http://www.visitingmontgomery.com. 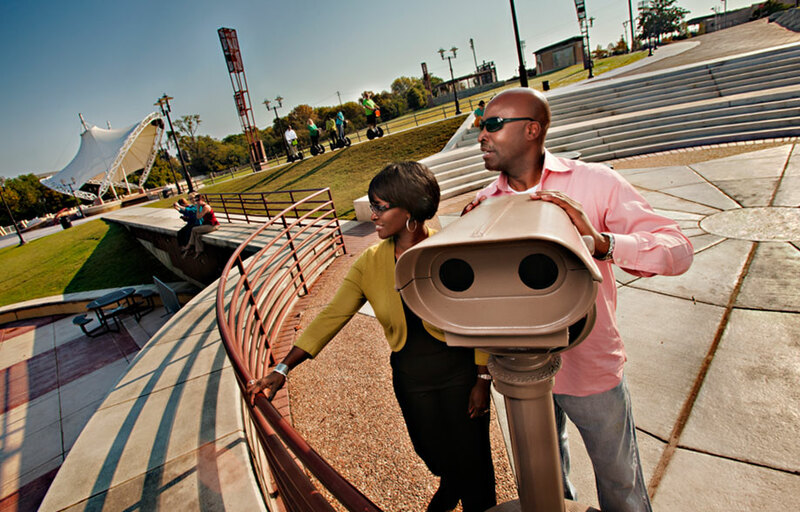 Stay connected with Montgomery on Twitter (@MGMCapitalCool) and Facebook http://www.facebook.com/MontgomeryCapitalCool).